Marvel has been teasing images, footage, and statues of Thanos over the last few weeks at Disney's D23 and Comic-Con, but each time the Mad Titan is missing his trademark blue and gold armor and helmet. Josh Brolin's Thanos was seen in Avengers: Age of Ultron and Guardians of the Galaxy with his helmet and armor intact, but it appears as if we are seeing a laid back Thanos this time around and for good reason. Co-director Joe Russo recently revealed the choice of a more stripped down approach to the villainous Thanos in Avengers: Infinity War, which lends to the character's personality and casual approach to destroying the world. Infinity War co-director Joe Russo spoke to IGN during Comic-Con and shared the reasoning behind the "casual" version of Thanos. Apparently the choice was a philosophical switch for the Mad Titan. Russo explains. "(Thanos) has a more casual approach in this film, and it's very philosophical for him, it's part of his character definition. It's a spiritual journey for him to collect the Stones, and one with which he doesn't need armor. Once he starts acquiring the Stones, he doesn't need armor in the same way he did when he was a warlord. It's a very symbolic costume." Thanos' ego is ultimately the choice of the stripped down approach and it's an interesting choice for the big screen. Thanos is seen in the comic decked out in full armor and helmet, which might lead to so some fans disagreeing with the change. 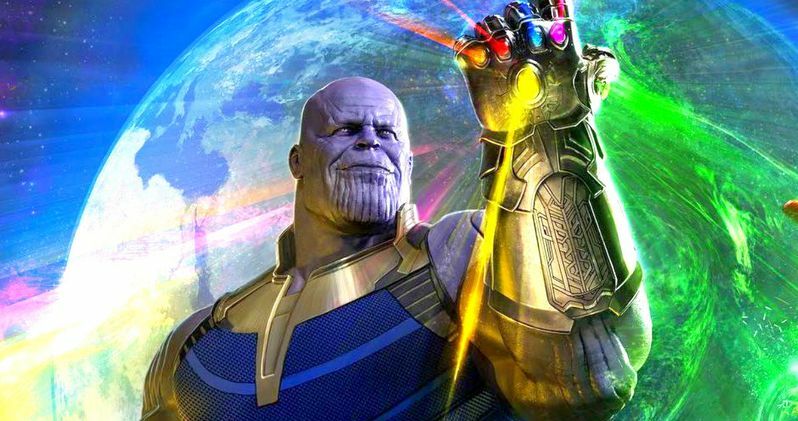 The change is all a part of the plan to make sure that Thanos is portrayed in the right villainous way after the hype surrounding his long-awaited entrance into the MCU as a major player. Another big reveal for Thanos came at the D23 Expo when his Black Order was unveiled as statues next to a statue of Thanos and the Infinity Gauntlet. The group, also known as "Thanos' Children", includes Corvus Glaive, Proxima Midnight, Thanos, Ebony Maw, and Black Dwarf and their hulking statutes look spectacular. The Black Order is a group of ruthless aliens from the Black Quadrant that Thanos brought together to work for him. They help Thanos into razing worlds where they demand tribute. The statues look relatively close to how the Black Order was in the original comic books with a few subtle changes. Infinity War is finally almost upon us. The massive movie is said to be the culmination of nearly 10 years of the MCU, leading up to the epic showdown in a battle for the Galaxy and the hype surrounding the movie is starting to get ridiculous. Hopefully we get some kind of tease for Infinity War in a post-credit scene at the end of Thor: Ragnarok at the end of the year or even a full-length trailer. In the meantime, check out "casual" Thanos and his Black Order below.